More than 10 Years Experience work within Accounts profile with different kind of establishments like Ltd. Company., MNC, Private Firm, University Etc. 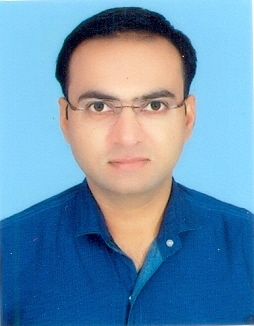 Working Since June 2011 with Gujarat National Law University, Gandhinagar. Prepare and Maintenance University Budget. Assessment of Bills/Invoices of Parties/Vendors. Providing MIS Reports to the Management. Looking after the Tax Compliances in view of University Operation. Monitoring the treasury operation of University. Provides guidance and oversight when working with Accounts Team to help ensure Section meet University objectives. Participates in professional development opportunities, as approved by Management, to grow expertise in Administration. Liaison with the Govt. & External bodies and Auditors in terms of University Operation. Executes other duties, as assigned, with adherence to quality and deadlines. Comprehensive Program of Export and Import Course form A.M.A, Ahmedabad. Two Days Staff Development Program at Gujarat National Law University in 2016. Three Days Staff Development Program at Gujarat National Law University in 2016. Two Days Advance training Program on Govt. Contracts & Law of Tenders at GNLU in 2018. Three days Training Program on Ethics & Values in Public Governance at SPIPA in 2018.